Allison Chin is a social justice and environmental activist. She developed her love and respect for the outdoors in her youth, hiking in Sequoia Kings Canyon. She works with a variety of organizations to fight for everyone’s right to clean air, clean water, and a safe and healthy environment in which to thrive. She has led over 200 outings so others can learn to explore, enjoy, and be inspired to protect their homes, work places, communities, and special places. Allison has led numerous initiatives in both grassroots and national leadership roles within the Sierra Club, including service on its Board of Directors from 2007 – 2013 and as president for three of those years. She has been a steady advocate for creating a culture in which people of all backgrounds feel welcomed, respected, supported and valued. Allison joins a coalition of board members of color committed to strengthening their respective organizations with greater equity, inclusion, and diversity. 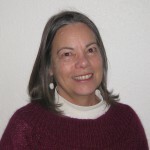 Allison is a retired molecular cell biologist and earned her BA from the University of California in San Diego and her PhD at the University of Southern California. Dr. Chin worked in biotechnology and led multidisciplinary domestic and international project teams focused on developing biopharmaceuticals for the treatment of cancer and chronic degenerative diseases. In her free time, Allison and her husband enjoy growing their own food and cooking. She loves exploring trails – new and old – and honing her spoon carving skills! 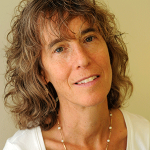 Dr. Sally Edwards is a senior research associate at the Lowell Center for Sustainable Production at the University of Massachusetts Lowell. She directs the Sustainable Products Initiative, which promotes the development of safer and greener products through engaging stakeholders and conducting research that can spark innovative solutions. Sally facilitates the Green Chemistry and Commerce Council’s Retailer Leadership Council. Its mission is to promote safer chemicals, materials and products across retail supply chains. She is a co-founder of the Chemical Footprint Project, which benchmarks corporate chemicals management systems and publicly recognizes leading companies. Sally has over 25 years of experience in environmental health, including 14 years at the US EPA in Massachusetts and Alaska. Sally holds a MS in Environmental Health Science from Harvard University and a BA in Human Biology from Stanford University. She completed her doctorate in Work Environment at the University of Massachusetts Lowell. Her book, Beyond Child’s Play: Sustainable Product Design in the Global Doll‐Making Industry was published in 2009. 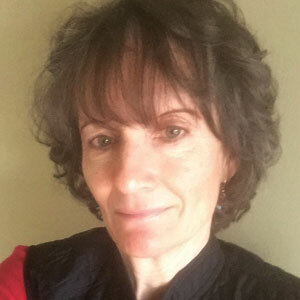 Sally is an adjunct professor at the University of Massachusetts Lowell and provides consulting services to businesses, NGOS, and communities to support their environmental sustainability efforts. Betsy is a Program Officer at the High Meadows Fund, which promotes vibrant communities and a healthy natural environment in Vermont. As Program Officer, Betsy manages collaboration and communications with grant partners. She has varied experiences in community engagement, land use and climate change resilience, rural economic and community development, and clean energy. From leading Outward Bound courses to serving in the Peace Corps in Togo, West Africa, Betsy seeks opportunities that will challenge her and encourage deeper learning. Previously, Betsy led Homeword, an affordable housing organization that won accolades for their green building and housing programs in Montana. She also served six years in the Montana House of Representatives, focusing on affordable housing, protection for family farmers, brownfield redevelopment, renewable energy and energy efficiency. She has a B.A. in Sustainable Development from the University of Michigan and a M.S. in Environmental Science from the University of Montana. 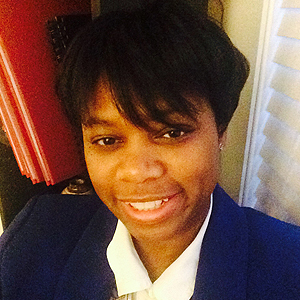 Karla James is the Director of Finance and Operations for the National Center for Youth Law. Prior to that she was the chief financial officer and chief operating officer at the Rose Foundation for Communities and the Environment, a nonprofit that supports organization working for public health, consumer and environmental protection. She also served as at the program director for several grantmaking funds at the Foundation including the Consumer Products Fund, the Northern California Environmental Grassroots Fund, the Consumer Privacy Fund, and oversaw fiscally sponsored projects. Her experience in small business management includes founding and managing a whitewater rafting company in Missoula, Montana. 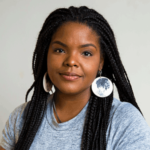 She previously taught high school and has an extensive volunteer background with grassroots social and environmental nonprofits, including Copwatch, a police accountability organization in Berkeley, California. Ana Pardo is the campaign and communications planner for the Workers’ Rights Project of the North Carolina Justice Center. Prior to joining the Justice Center, Ana coordinated policy and public education campaigns at Toxic Free North Carolina on subjects ranging from federal toxics reform to farmworkers’ rights. Ana has a background in community organizing and journalism, and earned a B.S. in Botany from North Carolina State University. Ana enjoys urban farming, singing with her five-piece vintage jazz combo and going on road trips with her dog. Tamara is a native New Yorker and an environmentalist focused on equity, access and community. 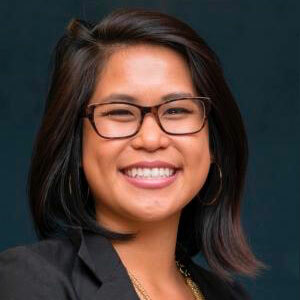 She develops capacity building programs and creates multimedia campaigns to dismantle privilege and increase opportunities for vulnerable populations to access healthy air, clean energy, and a toxic free economy at the local, regional, and national level. Tamara casts a wide net in service to the environmental community. 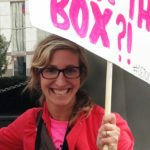 Among other activities, she is the Co-Chair of the DC chapter of EcoWomen. DC EcoWomen is a community of approximately 6,000 professional women who inspire each other to create a healthy and equitable society. During her tenure on the Executive Board she has held several positions including Vice President of Professional Development where she produced the organization’s signature salon and monthly educational forum – EcoHour. Tamara is the Vice Chair of the Metropolitan Washington Council of Governments: Air and Climate Public Advisory Committee, where she advocates for meaningful engagement and responsive public resources. She is also Co-Chair of the Green Leadership Trust. Tamara has over fifteen years of cross-sector environmental experience. Prior to moving to non-profit sector she held several positions in state and local government including Energy Communications Manager at the Maryland Energy Administration in Annapolis, and a Legislative Fellowship at the District Department of Energy and Environment, among others. To date, the defining characteristic of Tamara’s career has been a commitment to public service with specific attention to environmentally focused community building, and government relations. 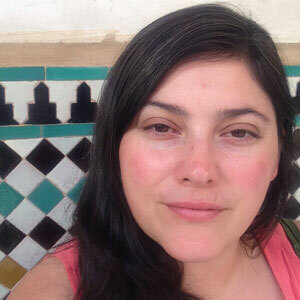 Marya Torrez is an attorney, advocate, and policy expert based in Washington, DC. 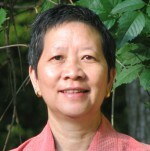 She has more than twenty years experience committed to civil rights, social justice, and environmental protection. She is particularly passionate about the rights of women, youth, LGBTQ people, and nonhuman animals. Marya has spent the last twelve years of her career focused mostly on sexual and reproductive health, rights, and justice. 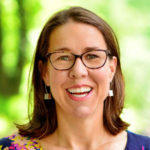 She is currently Director of Public Policy at Planned Parenthood Federation of America, as well as an adjunct professor teaching Reproduction and the Law at American University Washington College of Law. Marya came to PPFA from the DC Office of Administrative Hearings where she was Assistant General Counsel. Prior to that, she spent five years advocating for reproductive health at the National Partnership for Women & Families, after completing legal fellowships at PPFA and Alliance for Justice. Prior to moving to Washington, DC, Marya led a youth crisis shelter, teen center, and other programs for youth and their families in Santa Barbara, CA. Marya has a BA in Political Science from the University of Colorado, a JD from Georgetown University Law Center, and an LLM in Law & Government from American University Washington College of Law. She has published extensively on the public health, environmental, and ethical implications of using animals for food. Marya previously served on the Community Advisory Board of the Teen Alliance for Prepared Parenting, which serves pregnant and parenting young people and their children, as well as Secretary of the board of DC Lawyers for Youth, an organization she co-founded that advocated for improvements in the juvenile justice system. Annie Watson graduated from the Montana State University School of nursing and most recently worked as a school nurse in the public school setting. Prior to that she worked at St. Patrick’s hospital in Missoula, where she served on the hospital’s sustainability committee and supported initiatives to make healthcare less toxic. 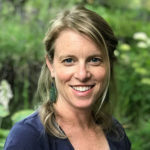 Before earning her BSN, Annie worked throughout the Southwest Unites States, Alaska, and Mexico as both an educator and program manager with the National Outdoor Leadership School. Her background and passion for the environment and public health lead her to her involvement with Women’s Voices. Annie currently serves on the Board of the New Priorities Foundation and spends her days caring for her young daughter at home. Ash Chan (she/they) is a Pittsburgh transplant by way of San Jose, CA, where they practice as an organizer, educator, graphic designer, and maker – at the intersections of popular education, self-sufficiency, and health, gender and sexuality equity. Ash deeply believes in the power of storytelling, leadership development, relationship-building, and creativity as tools to cultivate efficacy, self-expression, resilience, joy, and wellness. The core of their practice focuses on centering, affirming, and uplifting the lived experiences, leadership, expertise, and aspirations of marginalized people. With broad experience in nonprofit and community work, Ash joins the WVE team as the Campaigns & Outreach Manager. In their free time, Ash enjoys cooking, drinking tea, hanging out with their youth mentees, and hiking with their dog, Kujo. Contact: ashc (at) womensvoices (dot) org. Beth spent the last decade spearheading marketing, communications and multi-media programs in the adventure and sustainable travel industry. During those ten years, she had the opportunity to travel the globe and connect with diverse communities across the world. Beth holds degrees in history, English and political science and has her MFA in creative writing from the University of Montana, Missoula. She brings her love of language — the power of message — to Women’s Voices for the Earth. She knows the potency voices have to strengthen like-minded communities, ignite action and invite conversations with the most seemingly surprising allies. Jean Claire Duncan has an MBA from the University of Montana and a B.S. from University of Kentucky. Jean oversees the financial, human resource, and technical systems management of the organization. She brings eight years of experience with business and financial management, office systems and other entrepreneurial endeavors. 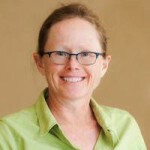 Most recently, Jean spent six years working with Montana-based Alternative Energy Resources Organization (AERO) as an interim executive director and a board member. Before that, she served three years as the business manager for the Jeannette Rankin Peace Center in Missoula, executive director of the Montana Hunger Coalition, and as general manager of a California-based food cooperative. Jean is happiest in the great outdoors, eating fresh local organic food, and being with her wonderful children, all but one of whom are grown ups now. Amber Garcia was born in Denver and raised in Boulder, Colorado. She studied Ethnic Studies and Criminal Justice with a minor in Political Science at the University of Colorado Denver (UCD). 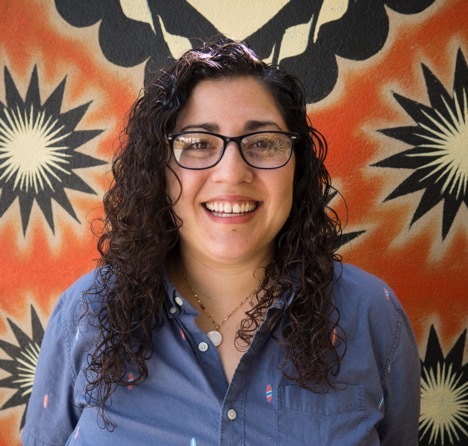 For the last 5 years, Amber has been running COLOR’s grassroots voter engagement, community advocacy, and youth leadership development programs through a reproductive justice framework to mobilize the Latinx community in Denver. This lady is very family-oriented, and her wife and three younger sisters keep her inspired to fight for a just world every day. She is super excited about politics and engaging and empowering under represented communities. 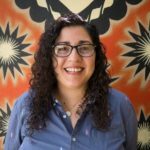 Her work in the broader social justice movement includes working with community partners on policies to provide drivers licenses for undocumented folx and increasing the minimum wage for all Coloradans. Securing wins at the legislature and at the ballot box to ensure access to abortion and other vital reproductive health care services positions her well to continue working with legislators and voters to eliminate toxins and advocate for better health all around. Amber envisions a world where we have liberation for all people and that each one of us is able to fully embody and use our power to continue to build a sustainable and collective future. Shantrice’s work lives at the intersection of environmental and reproductive justice. Born and raised in the Brooklyn neighborhood of Crown Heights, where she grew up in a matriarchal family, led by Panamanian and Trinidadian women, Shantrice is intrigued by the African diaspora and resilient women-led communities. In addition to her Bachelors in Women and Gender Studies from Carleton College and Masters in Health, Populations, and Politics from the Ecole Des Hautes Etudes en Science Sociale (Paris, France), Shantrice received a Fulbright scholarship (2013) to Paris, France. In Paris, she conducted research on the impacts of immigration on the reproductive patterns of first and second generation Malian women. She worked with the Black Feminist Project (formerly the BLK Projek) creating and implementing affordable food programs and youth development initiatives for South Bronx residents. 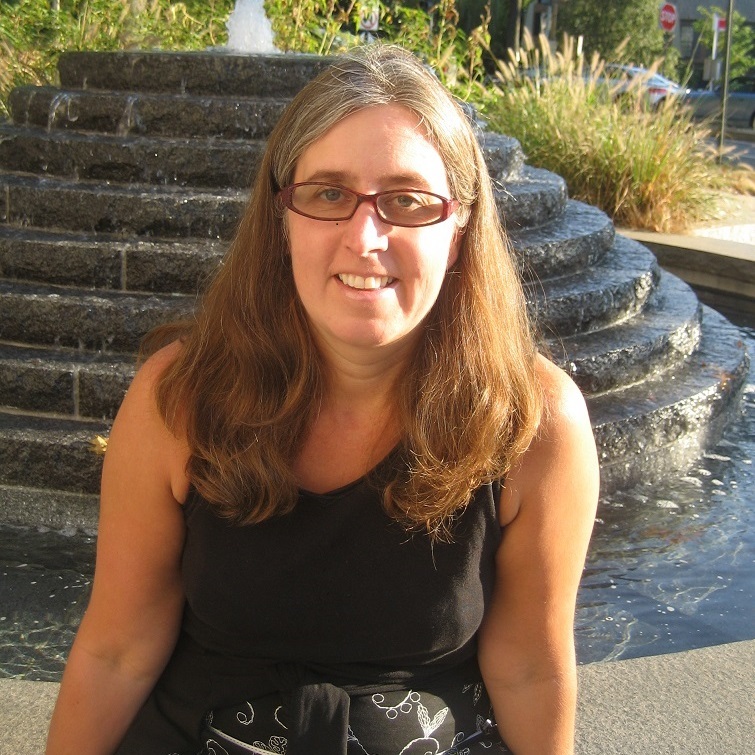 Kathleen has extensive work experience as an administrative assistant, bookkeeper, and customer support provider. As a Master Gardener, she has been self-employed as a gardener and landscaper. Her many years as a community volunteer include elementary schools, elderly companion, library volunteer, zoo docent, garden tours, food cooperative and market board, and food policy council member to build local, sustainable food systems. Kathleen is from the Midwest, and has lived in Kansas for most of her life. Her recent move to Montana is a great place for her to enjoy the outdoors and the things she loves – running, hiking, biking, camping, gardening, traveling, and supporting farmers’ markets and local artists and businesses. Jamie has worked in the environmental health field for nearly decade and oversees the organization’s programmatic work. In addition, she devises policy strategies on the state and federal level that will increase disclosure of ingredients and reduce the use of harmful chemicals in consumer and salon products. She is a co-convener of the National Healthy Nail and Beauty Salon Alliance and a former steering committee member of the Campaign for Safe Cosmetics and Montana Women Vote. Prior to working in the field of environmental health Jamie worked in Yellowstone as a park ranger keeping tourists away from grizzly bears. Jamie has a master’s degree in environmental studies from the University of Montana and a B.A. from UCLA. 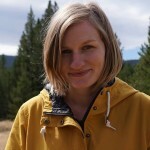 While attending the University of Montana, Jamie was named a Doris Duke Conservation Fellow by the Woodrow Wilson National Fellowship Foundation (2005-2006). 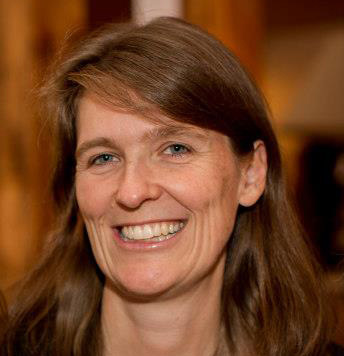 Alexandra Scranton is the Director of Science and Research at Women’s Voices for the Earth. Alex authors WVE’s scientific reports and provides scientific review for the organization’s programs. Prior to working at WVE, she worked in the epidemiology and statistics unit at the American Lung Association headquarters in New York. She currently sits on the Research Advisory Committee for the California Healthy Nail Salon Collaborative and on the Institutional Biosafety Committee for Rocky Mountain Laboratories (a National Institutes of Health facility). She has a master’s degree in Environmental Studies from the University of Montana and a B.A. from Amherst College. 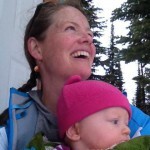 Alex lives and works from Missoula, MT, with her husband and two beautiful daughters. 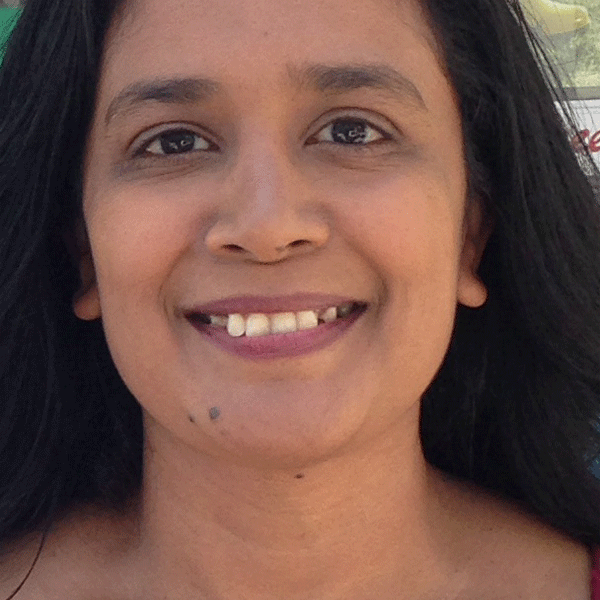 Sarada has a deep background in environmental justice and corporate accountability campaigning. Previously she led market-based change efforts at the Campaign for Safe Cosmetics. Her experience also includes coordinating Project Underground’s Chevron Nigeria campaign and conducting strategic corporate research for environmental justice campaigns at the Data Center. Sarada holds an MPP from Oregon State University and a BA in Sociology from UC Davis. Robyn has a background in feminist organizing and fundraising. She has an B.A. in Women’s and Gender Studies and a graduate certification in Nonprofit Administration from the University of Montana, where she directed her campus Women’s Resource Center as an undergraduate. Before coming to WVE, she served two Americorps VISTA terms, and worked to improve the lives of low-income women and families through fundraising and program development. A born-and-raised Montanan, Robyn spends her off-hours hiking, biking, skiing, cooking, reading, and enjoying Missoula’s microbreweries.